In a world full of constant distractions and time-consuming tasks, the authors believe we are experiencing not only technological advances but cultural upheaval. They have taken the view that as humankind grow busier, our abilities to have meaningful relationships (business and personal) have broken down somewhat. 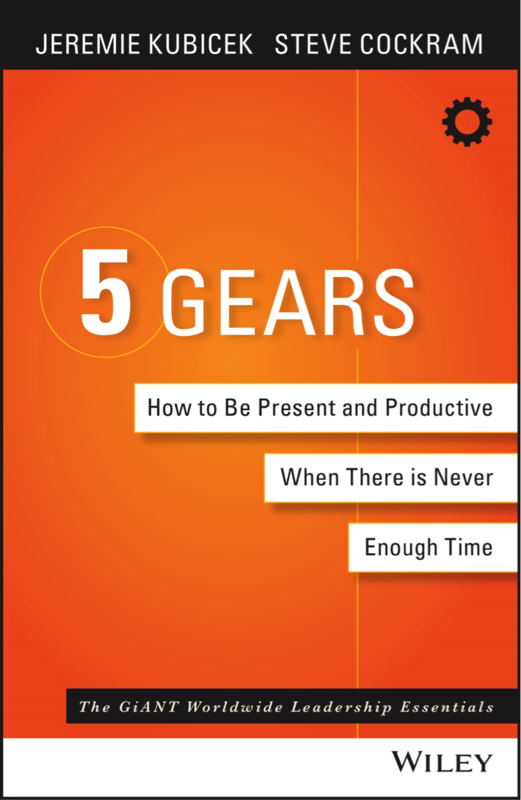 5 Gears asks the reader to do some very difficult self-examination on many critical levels based on the premise that having hard skills and a good IQ are no longer enough to be successful. On some levels they are correct, however the reader will only get the absolute most out of this book if they are as honest as possible in the self-assessments. This is an excellent resource if you feel like you are not able to be both present and productive, due to the feeling of overwhelming busyness.